According to statistics released today by The Canadian Real Estate Association (CREA), national home sales posted a small gain in August 2017. Actual (not seasonally adjusted) activity stood 9.9% below last August's level. The MLS® Home Price Index (HPI) was up 11.2% year-over-year (y-o-y) inAugust 2017. The number of homes sold via Canadian MLS® Systems edged up by 1.3% inAugust 2017. The small gain breaks a string of four straight declines, but still leaves activity 13.8% below the record set in March. There was a roughly even split between the number of local markets where sales posted a monthly increase and those where activity declined. The monthly rebound in Greater Toronto Area (GTA) (14.3% month-over-month) sales fueled the national increase. For Canada net of the GTA, sales activity was flat. While it was the first monthly increase in activity since Ontario's Fair Housing Policy was announced, GTA sales activity remained well down compared to the peak reached in March (-36%) and year-ago levels (-32%). 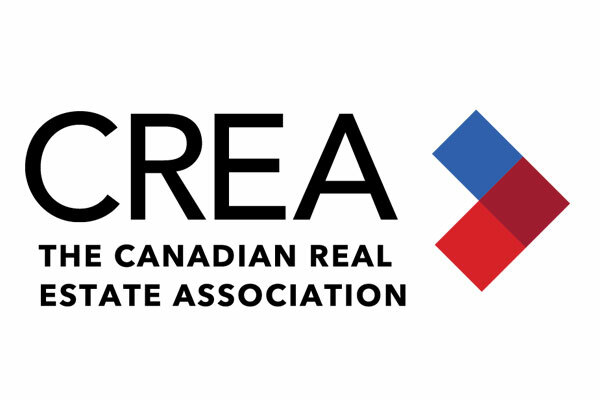 "Experience shows that home buyers watch mortgage rates carefully and that recent interest rate increases will prompt some to make an offer before rates move higher, while moving others to the sidelines," said CREA President Andrew Peck. "All real estate is local, and REALTORS® remain your best source for information about sales and listings where you live or might like to." "Time will tell whether the monthly rise in August sales activity marks the beginning of a rebound, particularly in the Greater Golden Horseshoe region and other higher-priced urban centres," said Gregory Klump, CREA's Chief Economist. "The picture will become clearer once mortgages that were pre-approved prior to recent interest rate hikes expire." The number of newly listed homes slid a further 3.9% in August, marking a third consecutive monthly decline. The national result largely reflects a reduction in newly listed homes in the GTA, Hamilton-Burlington, London-St. Thomas andKitchener-Waterloo, as well as the Fraser Valley. With sales up and new listings down in August, the national sales-to-new listings ratio rose to 57% compared to 54.1% in July. A national sales-to-new listings ratio of between 40% and 60% is generally consistent with balanced national housing market, with readings below and above this range indicating buyers' and sellers' markets respectively. Based on a comparison of the sales-to-new listings ratio with its long-term average, some 70% of all local markets were in balanced market territory inAugust 2017, up from 63% the previous month. A decline in new listings has firmed market balance in a number of Greater Golden Horseshoe housing markets where it had recently begun tilting toward buyers' market territory. At 2.3 months of inventory, the Greater Golden Horseshoe region is up sharply from the all-time low of 0.8 months reached in February and March just before theOntario government announced housing policy changes in April. However, it remains well below the long-term average of 3.1 months. The Aggregate Composite MLS® HPI rose by 11.2% y-o-y in August 2017, representing a further deceleration in y-o-y gains since April. The deceleration in price gains largely reflects softening price trends in Greater Golden Horseshoe housing markets tracked by the index. Benchmark home price increases have slowed to about 16% on a y-o-y basis inVictoria, and are still running at about 20% elsewhere on Vancouver Island. Price gains slowed further on a y-o-y basis in Greater Toronto, Oakville-Milton andGuelph; however, prices in those markets remain well above year-ago levels (Greater Toronto: +14.3% y-o-y; Oakville-Milton: +11.4% y-o-y; Guelph: +19.5% y-o-y). Benchmark home price growth accelerated in Ottawa (+5.9% y-o-y overall, led by a 7% increase in one-storey single family home prices) and was up in Greater Montreal (+4.6% y-o-y overall, led by a 7.1% increase in prices for townhouse/row units). Prices were up 5.1% overall in Greater Moncton, led by a 7.9% y-o-y gain in townhouse/row prices. The actual (not seasonally adjusted) national average price for homes sold inAugust 2017 was $472,247, up 3.6% from where it stood one year earlier. The national average price is heavily skewed by sales in Greater Vancouver andGreater Toronto, two of Canada's most active and expensive markets. Excluding these two markets from calculations trims almost $100,000 from the national average price ($373,859).